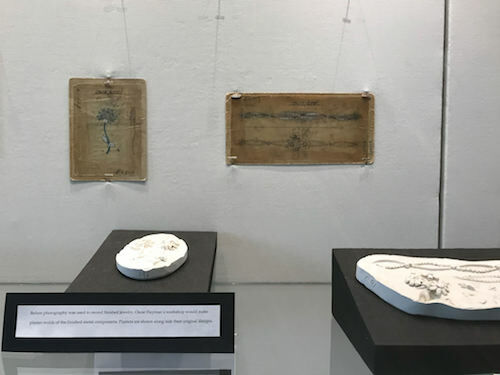 New York, NY—Drawings, articles, and other historical items from the archives of Oscar Heyman Brothers were on display at the Pratt Institute (left), a private fine arts college in New York City. The display was part of New York Jewelry Week. 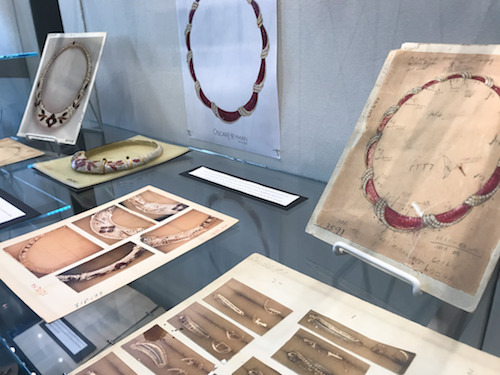 The exhibit, was featured in a “gallery hop” of jewelry-based installations at Pratt, and detailed how the 100+-year-old firm has evolved through the years, including record-keeping before photography and survial through the Great Depression. Originally slated for only one week, the exhibit has been extended. Above, a collection of renderings of pieces before creation and photos after, along with a model. Below, in the days before photography, plaster molds were created of finished pieces. Two are shown here with their corresponding renderings. 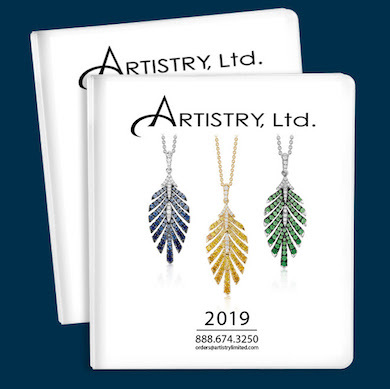 Skokie, IL—Artistry Ltd. has published its 2019 catalog in time for holiday merchandise ordering this season. To request a catalog or images from it for marketing, email marketing@artistrylimited.com; to order product, email orders@artistrylimited.com or call (888) 674-3250, ext. 1. 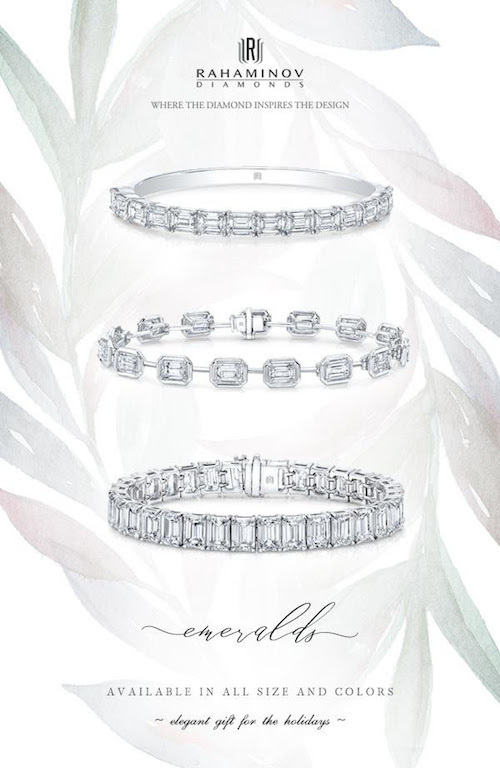 Los Angeles, CA—Emerald cut diamond bracelets in a variety of sizes, colors, and styles are available for holiday gift-giving from Rahaminov Diamonds, (800) 742-8864 or info@rahaminov.com. 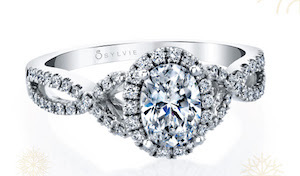 Dallas, TX—A new series of engagement rings featuring oval center stones is available from Sylvie Collection. 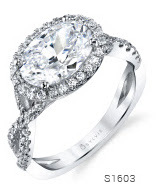 Rings also can be customized. Contact info@sylviecollection.com.